When the National Academies issued its first expanded "How People Learn" report, the contents struck a nerve, providing a readable explanation of the various research findings on the science of learning along with guidance on how to turn those insights into instructional practice in the classroom. A new version of that report offers an updated view on the topic and pushes beyond K-12. In 2000, when the National Academies of Sciences, Engineering and Medicine first released "How People Learn: Brain, Mind, Experience, and School: Expanded Edition," the private, nonprofit institution couldn't have predicted how important the research report would become in the field of K-12 education over the next 18 years. Now, an updated version has been released. 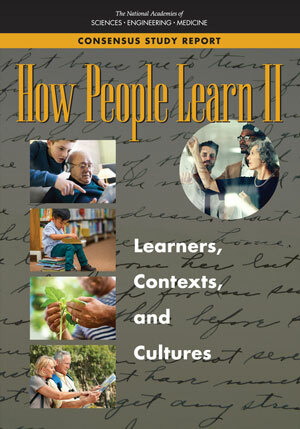 "How People Learn II," as it's known, picks up from the original research, providing new insights related to the ground covered in the first report, but expanding the discussion to include learning that occurs beyond K-12. In this interview, Study Director Sujeeta Bhatt explains how the latest study was undertaken, shares key findings and offers guidance for where to begin to absorb its content (including revealing which chapter happens to be her personal favorite). The interview has been edited for brevity. Campus Technology: How was the study developed? Sujeeta Bhatt: One of the things that the Academies has been doing for some time now is tracking how popular reports are in terms of [free downloads and purchases]. For a very long time, the "Expanded Edition" of "How People Learn" has been the No. 3 most-downloaded report of over 10,000 reports for the Academies. That was published in 2000. Because of its popularity, the Academies was very interested in understanding how the report was being used, because the primary users seemed to be those in teacher education. In 2008, the National Academies Press commissioned market research to help it understand how readers have used How People Learn in educational settings, and it also examined what topics were recommended for a revision of the book. When the original report was released, it was revolutionary. But the age of the report was beginning to affect its usefulness, especially as the central text and resource for those teacher education classes. A lot of respondents on the market research poll reported that they supplemented How People Learn with additional materials to give the students the most up-to-date information possible. When asked about recommendations for revisions, the two areas that were most frequently noted were technologies for learning and neuroscience. That was understandable — the 2000s were the decade of the brain, right? Neuroscience research really took off then. By 2008, there was a hunger for that. And also all these ed tech programs and devices were coming online. There was a lot of interest in understanding how best to utilize them — how to assess quality, for example. And so, our boards decided to expand it based on input from the market research but also from conversations with experts on various topics related to learning. The decision was made to expand the report beyond K-12 and to cover learning across the lifespan in both formal and informal settings. They also decided to focus on educational technologies, neuroscience, learning across the lifespan, including research on the aging brain, which kind of relates to neuroscience, and the influence of culture, motivation and emotion on learning. What many people don't realize is that the How People Learn volume that is so popular is actually the work of two different committees. The original report was published in 1999, and it focused on the science of learning in K-12. A committee was brought together to figure out how to implement the work that was found in that original report, and that's the version that's available as the Expanded Edition. Those folks who were expecting something similar to the original may not find that "bridging the gap" from research to practice as clear in this volume. But that's partially because you really have to understand the research before you can talk about bridging that gap in practice. CT: Given that, what are some of the key findings of relevance to educators? 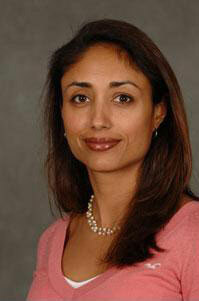 Bhatt: Our statement of task is very, very broad and included a whole host of areas, which the committee did discuss. One of the things that this committee had to do was grapple with the amount of information that could potentially be included in a volume without making it multiple volumes long, but also consider what else is being funded here at the Academies. We were trying not to be redundant in this volume with what's already coming out. We had a report come out from the Board on Children, Youth and Families on supporting English language learners. There's also a really fantastic report on "Transforming the Workforce for Children from Birth Through Age 8," and that covers a broad range of development for children and has input directly for the workforce that interacts with those children. With that said, in How People Learn II there are some [key aspects]: One is that culture plays an important and complex role in shaping how people learn. We already established in How People Learn I that people are not a blank slate; to really understand learning, you have to learn all the context that can affect learning. Culture is a big one. There are examples in the report of groups where learning is done through observation of adults or experts doing a task. You have this culture of the school itself and the culture of the classroom; but you've also got culture of each individual student that needs to be kept in mind. Another key finding is the fact that learning is a dynamic process that continues across the lifespan. It doesn't just stop when you're done with high school. There are other things that affect learning throughout life. This is related to the issue of context. Because the brain adapts throughout life, there are things that can affect how people learn: social engagement, physical exercise, sleep, nutrition — these are all things that have to be kept in mind to understand the science of learning. Another key finding is on mental models, which are important to develop knowledge. And there are a whole host of strategies that can help learners develop mental models so they can retain knowledge and use it. It's not just the retention of the information, but actually using it and applying it appropriately to solve new problems or make inferences that's [important]. Another really important factor in learning is motivation. It's pretty clear that's important — and motivation in early childhood to early adulthood to adulthood evolves. The report does make mention of some ways that educators can support learners' motivation. One of the things is to help to set desired learning goals and performance goals that are appropriately challenging. They create a learning experience that learners value and support the learners' sense of control and autonomy. They help them develop a sense of competency by assisting them in recognizing, monitoring and strategizing about their learning progress. And they create a supportive learning environment that's not threatening, that helps them feel safe and valued. The report also talks a little bit about the implications for the classroom. Although we didn't do the full bridge from research to practice, we do discuss how some of the areas that are discussed — the key implications of the report — can have an impact on classrooms. For example, understanding the cultural nature of learning and development means that it's everything that takes place in the classroom, including how the teacher, the educator and the students experience the school. There's also this idea that part of what educators can do — and this goes back to the motivation piece — is attend to those influences on the culture to better understand their students and understand how to support the learning that the students need to do, but also helping them take charge of their own learning. There is a little bit on assessment in this report, because we have a full board that focuses on assessment; but we don't go into great detail on that. And then the last thing the report touches on are learning technologies. This particular topic discussed whether technology is effective in helping people learn. Whether it is or not depends on a range of factors, including characteristics of the learner, the type of learning that's being targeted and the social-cultural context. In order to really utilize learning technologies, the educators have to engage in careful planning for implementation that addresses the factors that are known to affect learning. You also have to think about motivations and learning goals and then also these issues of professional development that supports the instructor or educators as well as the learner. And there's equitable access to the technology. You really can't promote the use of learning technologies if it's not equitable for all students. CT: The report is almost 350 pages long. How do you suggest ordinary educators approach it? Bhatt: It is a thick volume. I don't know how much of the material is just base knowledge. For example, when you look at the neuroscience findings, especially in terms of how the brain changes as we age, there's very little that can be directly applied to the classroom or to a learning environment. But it does help provide a better understanding of how the brain develops in order to be more thoughtful or more creative in thinking about the individual learner. From that perspective, there are, I think, some areas that are particularly easier to apply — the sections on motivation and even learning technologies. The report can help you take a step back and think about what questions you should consider before you start implementing some type of educational technology into a classroom. We're actually working on something similar to [what we did with] How People Learn I, which is having a group of educators look at the report and provide feedback and sort of help build something like this bridging-the-gap type of report. And I know some of our sponsors are interested in creating what we call "derivative products," taking the report and creating smaller reports that are geared to specific audiences — to K-12 educators, or workforce development folks. But this report is just to help provide that foundation of research from which we can now be creative in terms of how we approach the classroom and learners. CT: Is there some section you're especially proud of? 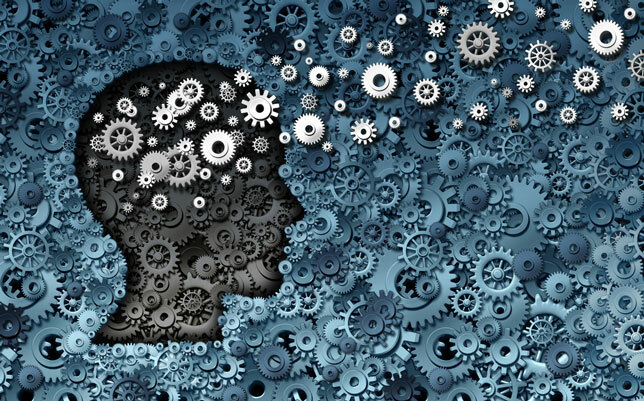 Bhatt: I'm a little biased, because my Ph.D. is in behavioral neuroscience, and so the neuroscience pieces (Chapter 3, "Types of Learning and the Developing Brain") are really interesting, to understand not just the aging workforce, but also more about the brain in hopes that people might apply this to other issues, like dementia. I'm always excited when people can understand that and build from there. The original 2000 Expanded Edition of "How People Learn" is openly available in PDF format on the National Academies Press website; a paperback edition is available for $39.95; and an e-book version is $31.99. "How People Learn II" (2018) is openly available as a free PDF download on the NAP website as well. A paperback edition is available for $49.95.